It's the little touch that makes a party memorable. These clear cutting edge, modern 2.95 Inch. Plates pack a huge punch! Imagine your guests delighted surprise when you offer them a classy plate they are sure to remember. 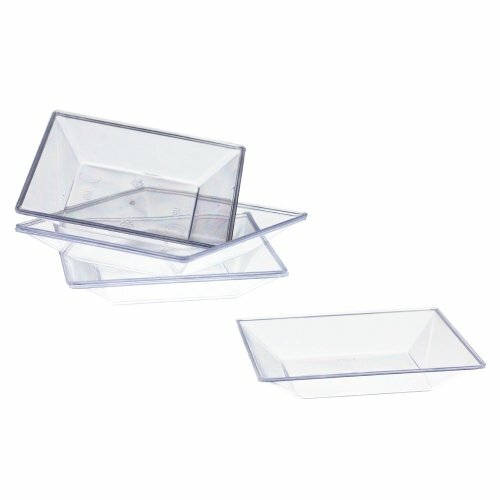 This package contains 100 clear dessert plates that are perfect for mini appetizers and desserts. Chic and modern design - 2.95 Inch. Disposable - cleanup is easy! If you have any questions about this product by Exquisite, contact us by completing and submitting the form below. If you are looking for a specif part number, please include it with your message.